Kdrama Sep 16 2018 4:31 am Great actress! She really portrays her characters well! I always enjoy her performances and think she does a stellar job! Fighting!! Fleng Feb 25 2016 5:41 am One of the actress best at acting as the most annoying ahjumonie aka grandmother ever. Her acting does not varies much other than shouting aigooo aigooo and clutching her chest whenever he character is doing something stupid and is being reprimanded. After watching plenty of dramas with her in it, I have deduced she is is one of the most annoying actress in South Korea. sophiagarcia Dec 27 2015 12:47 am i so love this lady on sweet home, sweet honey, or rather, i so hate her. she is very effective as an annoying mother-in-law but a scene becomes alive whenever she is present. she is a great performer and no one can pull off a triple-quadruple-printed attire like her. she is a great actress. Tamara Jan 13 2015 8:50 pm Loved her in Ojakgyo family, My Girl, and Life is Beautiful. Amazing and charismatic actress. 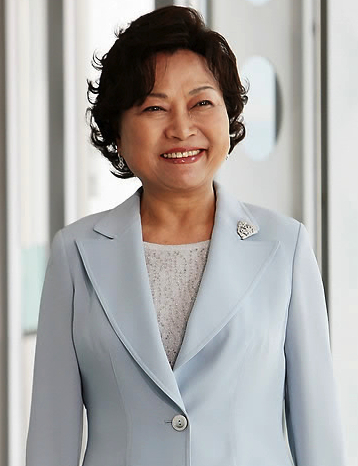 I think she and Kim Ja Ok were the true stars of Ojakgyo Family. Robert Apr 17 2012 3:28 pm I was so disappointed when Ojakgyo Family show ended. I have just gotten use to the fact that Korean tv seems to end there shows to quick. I loved Iris and Ojakgyo Family I personally thought they could have taken these two shows so much farther. I think you did a great job along with your costars will miss my Saturday morning Ojakgyo show. al Jan 23 2011 7:49 pm What an actress - just watched Life is Beautiful and I feel the award for best acting goes to Kim Yong-Rim! The serenity she gave us as a grandmother was wonderful to watch. Thank you Yong-Rim for a job well done.